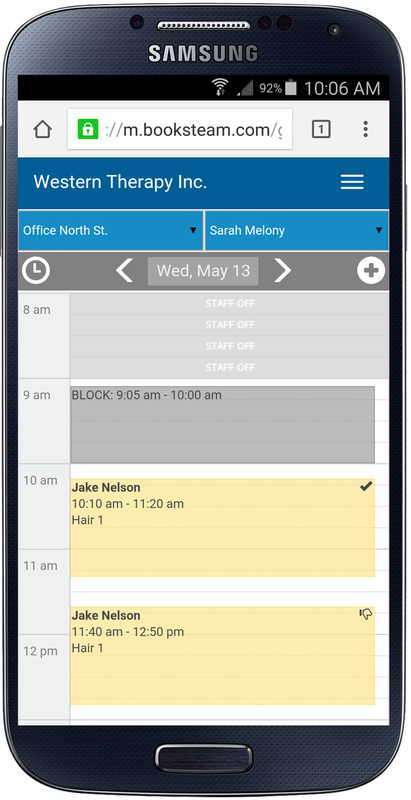 We are thrilled to announce the release of our new mobile admin interface. 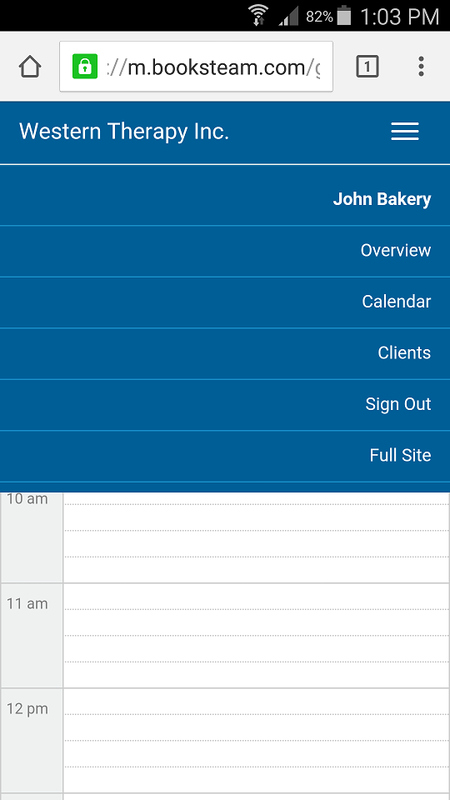 Business administrators and staff members can now manage bookings on their mobile devices. Do I need to download a specific app? The advantage of this new mobile interface is that there is nothing to download or install! On your mobile device, simply launch your web browser and visit BookSteam Login page (or https://m.booksteam.com/Login.aspx directly). BookSteam will automatically detect the type of device you are using and optimize the interface accordingly. 1. Login inside your mobile account. Select the "Share" icon located at the bottom (looks like a square with an arrow going upwards. 3. Enter your link button name, for example BookSteam and click "Add". That's it, you can also follow instructions here. 1. Open mobile chrome browser and login inside your BookSteam account. 2. In a upper right corner click settings (three vertical dots). 4. Add/Edit your title and click "add". Note: This example is based on mobile chrome browser, instructions might be different for other android browsers. 1. From your mobile dashboard, click menu (three horizontal lines). 2. Select "Full Site". You will be redirected to the desktop version. Note: To switch back from desktop version to the mobile version, click your account name (in the upper right hand corner) and select "Mobile Version".